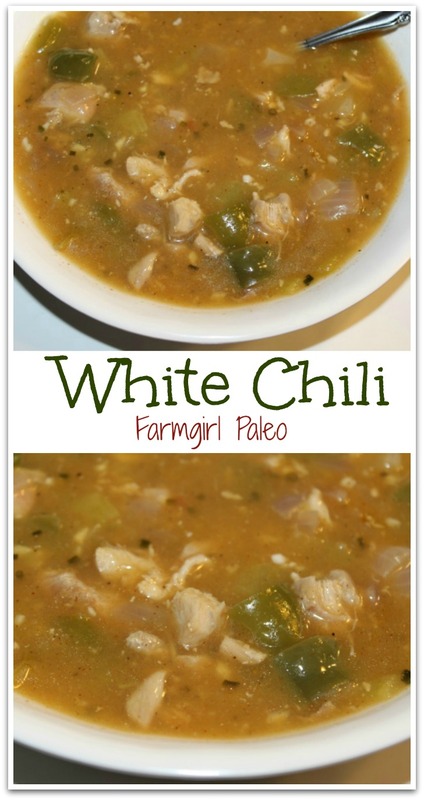 Folks who might enjoy a change from traditional tomato-based chili will enjoy this White Chili. It has a perfect blend of herbs and spices that gives it just the right zip. In a large saucepan, cook onion, bell pepper, and celery in clarified butter until onions are translucent. Add garlic, cook and stir for one minute more. Add broth and water, green chilies, and seasonings. 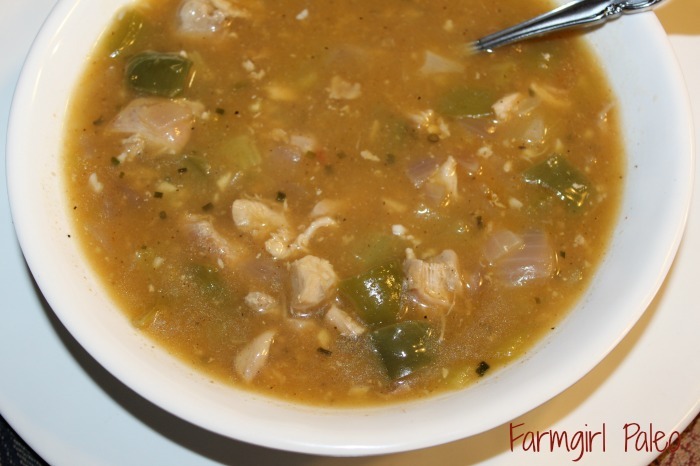 Bring soup to a boil, reduce to a simmer and cook uncovered until the vegetables are tender. Add chicken and, cook until chicken is heated through. Meanwhile, in a small bowl, whisk together coconut milk and arrowroot powder. Stir mixture into soup to thicken. Enjoy!